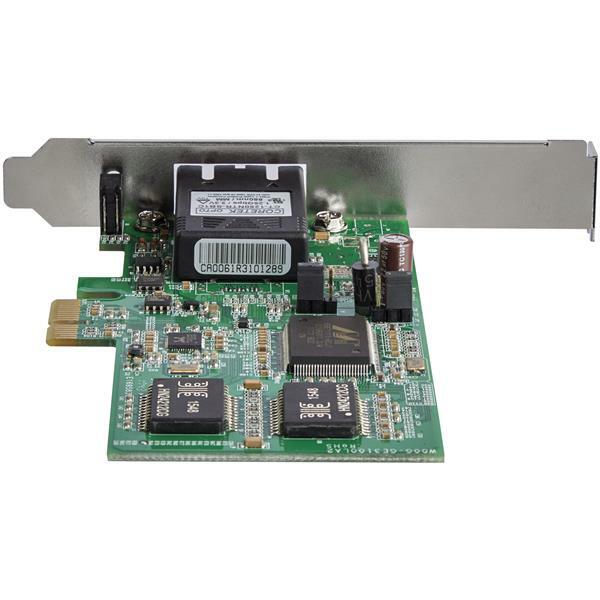 The PEX1000MMSC2 PCIe Gigabit Fiber Network Card lets you connect a desktop PC directly to a fiber optic network, by adding a multimode SC fiber port to your computer or server through an available PCI Express slot. 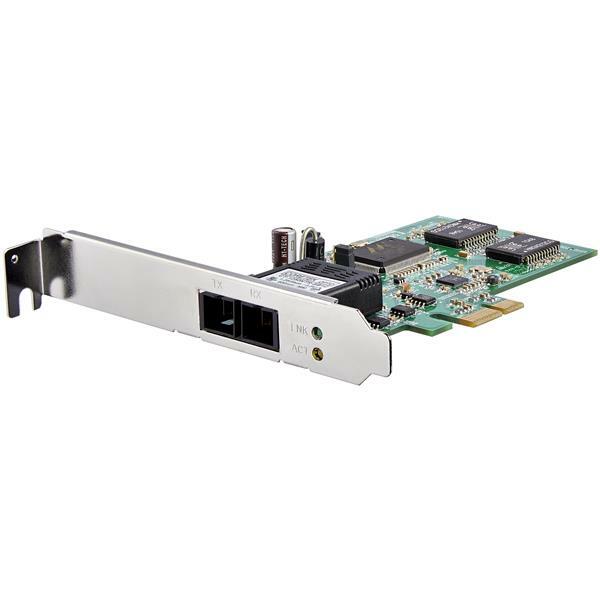 Perfect for integrating into new or existing fiber infrastructure over great distances, this card delivers full Gigabit bandwidth to your computer up to 550 meters away from your network source, using multimode 50/125 micron duplex SC fiber cable. 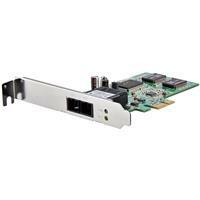 Plus, for a wider spectrum of compatibility, this versatile card offers fiber integration with a computer up to 220 meters away when deployed to network frameworks consisting of multimode 62.5/125 micron cabling. With fiber connectivity, your network is not susceptible to electronic interference, which can be problematic with standard RJ45 copper networks, making this fiber card ideal for secure network setups. 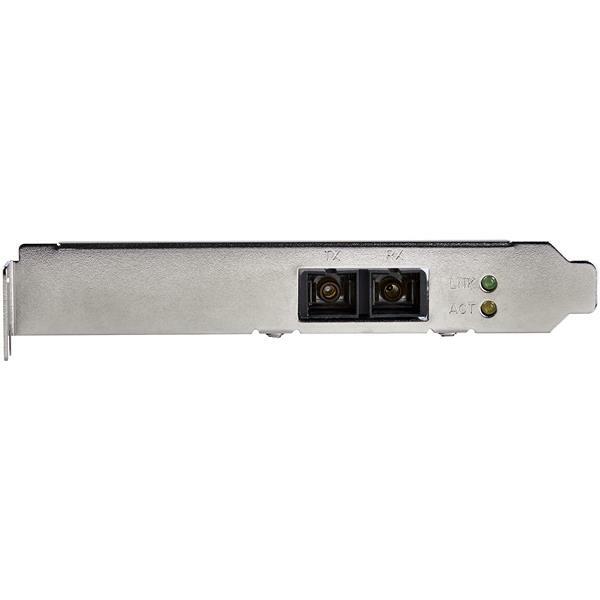 Plus, the card is equipped with a standard profile bracket and includes a low-profile/half-height bracket, making it easy to install in small form-factor computers or 1U server and rackmount applications. How can I tell which fiber cable I will need for this device? Simplex and duplex ends are available for most connector types. Simplex cables have the connectors separate, where duplex cables have the transmit (TX) and receive (RX) connectors joined together. When you use fiber devices and cables, make sure that the same fiber standards are being used on either end of the fiber network.